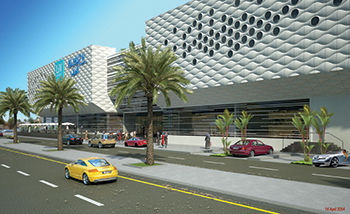 Al Muzn Mall ... to open in 2019. The development will boast a 127-unit high-rise complex featuring one-, two- and three-bedroom apartments and 13 commercial showrooms, reported Oman Daily Observer. The construction work is being handled by Al Subhiah Trading & Contracting as the main contractor. The residential project is said to be an extension of the mixed-use Al Muzn complex in the same location, according to the report. The five-storey project, being built at an investment of more than RO7 million ($18.1 million), will have a total built-up area of 20,000 sq m besides key amenities such as gardens, green spaces, a gym, a swimming pool and adequate parking space.